In 1909, W. Starling Burgess joined with Augustus Moore Herring to form the Herring-Burgess Company, manufacturing aircraft under a license with the Wright Brothers, thus becoming the first licensed aircraft manufacturer in the United States. 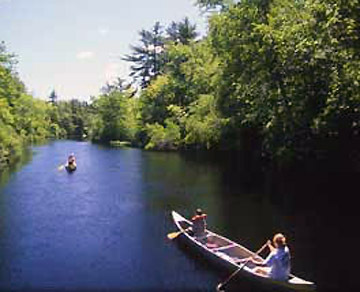 Burgess took the initial flight of his first plane in 1908 at Chebacco Lake in Hamilton, MA. Burgess had been offered $5,000 by Charles Parker if he could make it fly.They carried the airplane by wagon to the lake, where it flew 360′ and reached an altitude of 30′ before landing hard on the ice. On Feb. 28, 1910 William Starling Burgess flight tested his Model A1 Flying Fish over the frozen surface of Chebacco Lake in Hamilton and Essex. The 25 hp engine was built by Augustus herring. Photo courtesy Massachusetts Air and Space Museum. On April 17, 1910 Burgess conducted three short flights at Plum Island in a biplane he called “the Flying Fish,” making headlines in local newspapers. 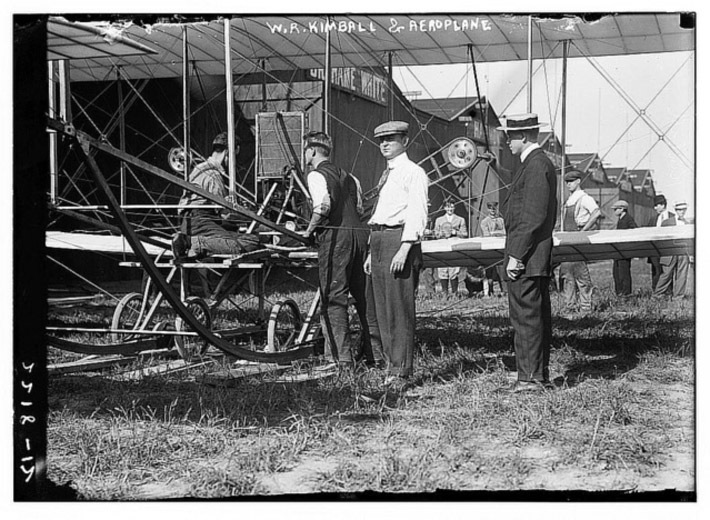 Photographs of the successful Newburyport flights aroused the interest of French manufacturers and aviators, as the model was not designed and patented by the Wright Brothers. 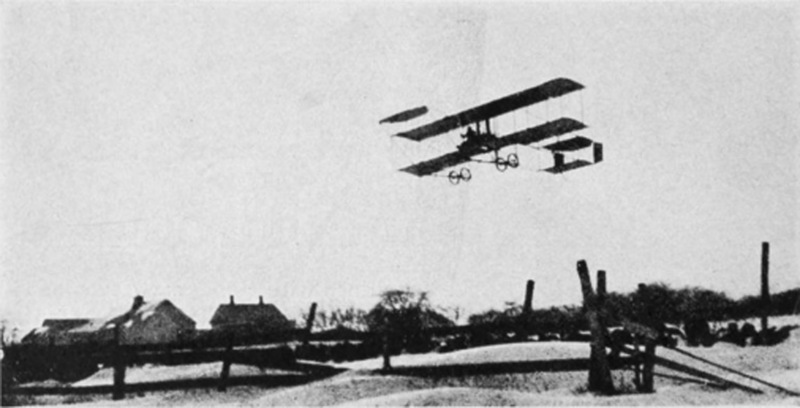 Flight tests of Burgess biplanes were conducted in November and December, 1910 at Moulton’s Farm on Essex Road in Ipswich. “Moulton’s Farm”does not appear on any of the old maps and appears to be a pseudonym. It may have been near Northgate Rd. on land owned by Joseph Marshall (Essex Rd.) or the 60-acre Brown estate on Argilla Rd. The area is now known as Maplecroft Farm. The company was a branch of the W. Starling Burgess Shipyard in Marblhead, and was once that town’s largest employer, with 800 employees. Burgess was awarded the Collier Aviation Trophy in 1915. The aircraft factory burned down in 1918. 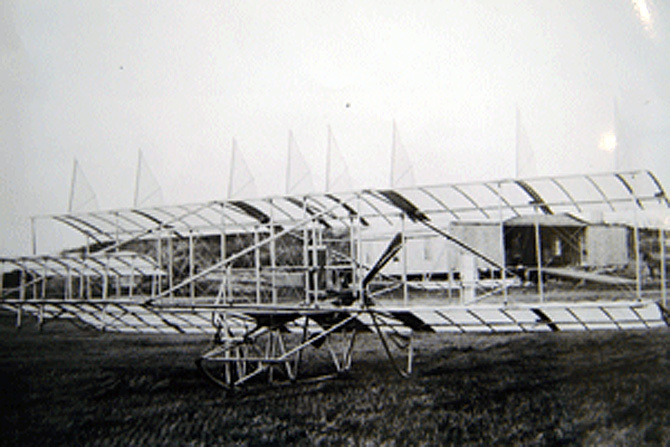 The Burgess Flying Fish 2 sailed over Plum Island on April 17, 1910, the second controlled powered flight in New England. The Burgess Company and Curtis Model D -Farman type pusher biplane had its first test flight at Moulton’s farm on Essex Rd. in Ipswich on November 27, 1910. The model D was equipped with four wheels and two skids, and was powered by a Hendee rotary engine. The construction was primarily spruce, but the outrigger beams were made of bamboo. 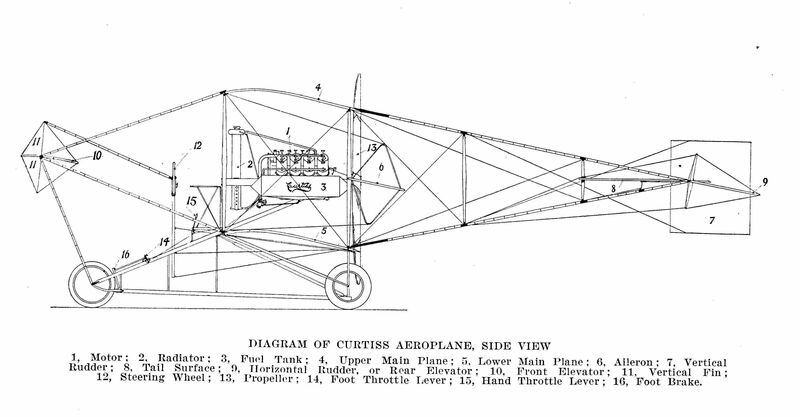 Model Ds were constructed with the propeller behind the pilot, and were thus referred to as the “Curtis Pusher”. The Burgess D biplane in flight at “Moulton’s Farm” near Northgate Rd. in Ipswich. In the left background is the house constructed in 1895 by J. Marshall and barn, both still standing. Heartbreak Hill is on the right. The plane probably launched from the 60-acre estate Brown farm, now known as Maplecraft Farm. Burgess Model E. The Burgess flights are documented in a photographic display in the Burgess Aviation Museum at the Plum Island Airfield in Newburyport. In 1910, W. Starling Burgess built a hangar and wooden runway on Plum Island. Planes were transported by boat to the location for numerous test flights. 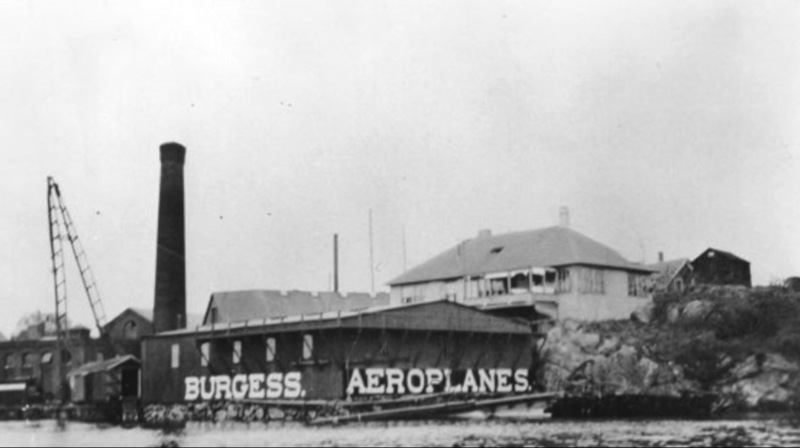 The Burgess airplane factory in Marblehead. The factory was destroyed by fire in 1918. 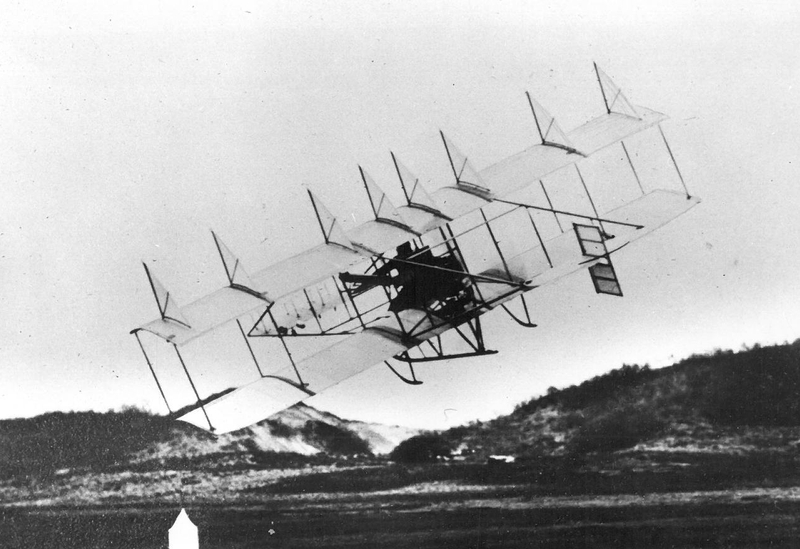 William M. Hilliard in a test flight of the Burgess-Curtis at Moulton’s Farm field, Ipswich MA, 1910. 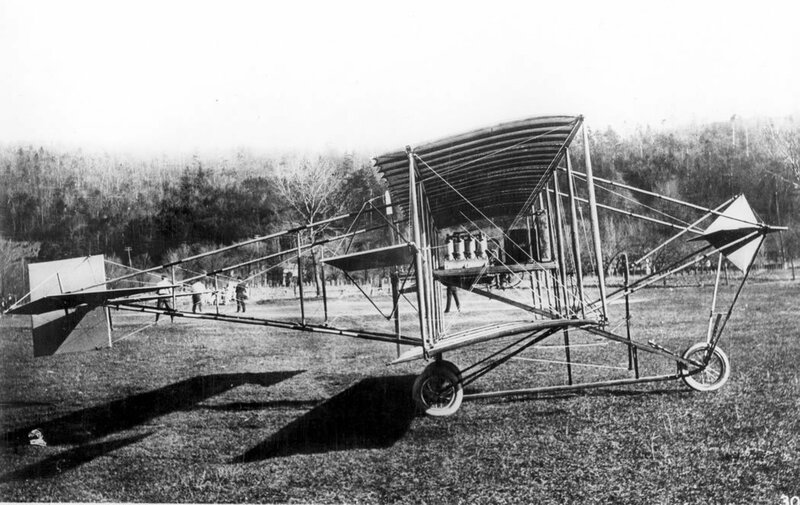 Less successful were flights at the Moulton’s farm field in Ipswich in the year 1911 by Gardiner Hubbard and F. Tracy Hubbard, who constructed and tested three American versions of the Canadian Aerodrome Company’s “Mike” monoplane design. The Hubbard Model ll was destroyed in a trial flight, but the model III managed to fly.The Hubbard Model IV was displayed at the Second National Exhibition of Aerial Craft, Mechanics Hall, Boston, February 20-25, 1911, but may have never flown, and the company did not succeed.